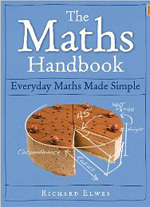 Richard Elwes' Maths handbook is a lucid presentation of basic mathematics facts. It is intended for those who "were never any good at mathematics", for grown-ups who wish they remembered more of the maths they studied as children, or those who are intimidated by the subject. It is the latter point the author is most passionate about. 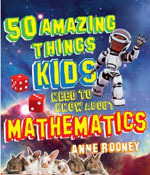 This book serves as a proof that mathematics is a very natural way of thinking, and there is a reason for everything in it. We don't normally review childrens' books on Plus, but when this colourful volume landed on our desk we couldn't resist. It appeared to do exactly what we try to do all the time: reveal the beauty and fun side of maths and show how it comes up everywhere, as a natural language in which to talk about the world. So we passed it on to two expert representatives of the book's target audience, which is 7 to 11-year olds. Have you ever wanted to explore the symmetries of the cube and octahedron through an old Japanese art form? Or to investigate fractals using tatting and string art? Or to study the helix by knitting bed socks? 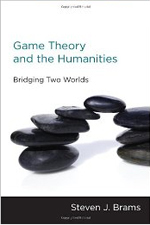 If so, or if you are at least open to the idea, then this book would be a good place to start. 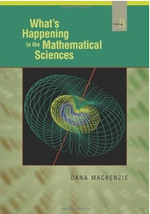 Dana Mackenzie's book is a display of modern mathematical developments, which have brought about the solutions of several old and important questions in number theory, topology and the theory of dynamical systems. More recent areas, related to finance and computer science, have also witnessed a lot of attention-grabbing events — some good and some bad. 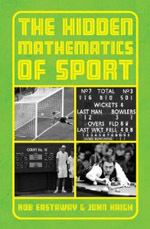 For those with a mathematical background this book makes a fascinating read. 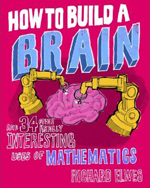 It's quite refreshing to find a book on maths that is so upbeat and infectious as How to build a brain. Certainly the title is a misnomer; one would immediately associate it to artificial intelligence or biology, but in reality this book is about how mathematics finds its way into many aspects of our world. In 2006 the Fields Medal — one of the highest honours in mathematics — was awarded to Grigory Perelman for solving the Poincaré conjecture, a famously difficult problem that had stumped mathematicians for a century. To the surprise of many, and the excitement of the media, Perelman declined the award and withdrew not only from mathematics but from the world generally. 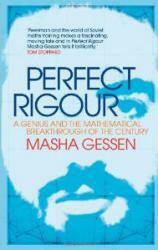 In Perfect rigour Masha Gessen sheds some light on this brilliant and perplexing character and the reasons why he would renounce both the worldly rewards of his mathematical achievement and also his beloved vocation, mathematics itself.